The UK government is engaging in increasingly implausible attempts to present the country’s economic and emissions record since 1990 as a proof of the existence of a viable model for low carbon prosperity based on recent policies, particularly renewables. In fact, if the UK record shows anything, it demonstrates that a continuation of the fuel switching to gas of the 1980s and 1990s would have resulted in both larger reductions in emissions, and greater economic growth. Underperforming renewables and carbon leakage to China are nothing to boast about. 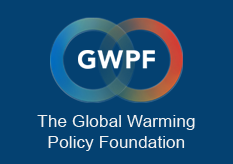 This post, co-authored for GWPF by John Constable and Gordon Hughes, analyses claims made in a recent newspaper article by Mr Greg Clark, Secretary of State for Business, Energy and Industrial Strategy. To mark “Green GB Week” Mr Greg Clark, the UK’s Secretary of State for Business, Energy and Industrial Strategy, published an upbeat pep talk in Telegraph: “Now is the time to reap the benefits of a low carbon economy”. Figure 1: Emissions of carbon dioxide (kg) per US dollar of GDP at PPP for UK, World & China. Source: World Bank – World Development Indicators. Furthermore, the UK’s record, particularly the recent record, is by no means distinctive when compared to other economies. It should be noted, for example, that Germany went further and faster in 1990s by phasing out industrial production and power generation in what was formerly East Germany. Indeed, every single country in Eastern Europe – all of them advanced economies and members of OECD – has experienced a larger proportionate fall in emissions per $ of GDP at PPP. If Mr Clark had been properly briefed, he would have learned that the decline in UK emissions per $ of GDP at PPP (a reduction of 0.413 kg CO2 per $ PPP) was actually less than that achieved at global level since 1990 (a reduction of 0.443 kg CO2 per $ PPP). So, as compared to the global average, the UK has underperformed. Why? Because the promising start made in the 1990s, through fuel switching to gas, was compromised by a confused mess of renewables and other climate policies. In the absence of those policies, the UK economy would almost certainly have grown more, and more robustly, and emissions have fallen further and more securely; backsliding and regression in both areas is to be feared as the negative consequences of the current obsession with wind-power bears fruit. In fact, as is well known, the switch to gas has been inhibited in the UK by the policies, which reserved market share for renewables, while the enormous cost of the subsidies, now nearly £9 billion a year and still climbing, to say nothing of the additional system costs, has contributed to inhibiting the growth of some businesses and driven others out of the UK altogether. Energy – and particularly electricity – demand is falling in all sectors of the British economy; not all of this decline can be explained by “energy efficiency”. Indeed, some believe, following Jevons, that if the efficiency measures were actually working, we should be seeing an increase in energy consumption, as processes become more productive, and the increased discretionary spending is used to purchase goods other than energy. If that is right, then there is something unhealthy about the UK’s falling energy consumption. The truth is that any country can reduce its emissions by converting from coal to gas (arguably a good thing) and closing down industries, through higher energy prices, thus outsourcing all of the carbon-dioxide emitting activities to China. So when Mr Clark points in triumph to the 40% reduction in UK emissions since 1990, he misleads the reader by failing to note that the positive aspects to this cut are not related to his pet renewables, while the negative aspects are the result of carbon leakage, pure and simple. Borrowing money to buy Chinese goods may give the appearance of Clean Growth, but beneath this fair seeming surface lies the ugly truth that the emissions associated with those goods are now released in China not the UK. Indeed, Mr Clark’s claim is more than faintly ridiculous. The subsidies for renewables make every household in the UK directly poorer, through their electricity bills – falling especially heavily on the poor, elderly and those in ill-health. Households are also hit indirectly in higher costs of goods and services as industrial and commercial consumers pass on their own share of the subsidy bill to households. More perniciously still, the subsidies distort investment and employment decisions. Over the last decade, at least £60 billion that might have been invested in productive industries has been diverted to finance the excess costs of building renewable capacity that has yielded negligible net reductions in greenhouse gas emissions. In addition, facing the prospect of ever-increasing energy prices driven by this policy, manufacturing companies have shifted their investment to locations that offer more favourable business conditions. So, Mr Clark’s central claim that UK experience shows that the low carbon economy can be seen not as a threatening future, but one of “opportunity, growth and potential” is built on sand. In point of fact, UK economic growth has been well below its potential had the trend rate of productivity growth up to 2005 been sustained. The decline in productivity growth coincides with and is, at least partly, caused by the policies designed to promote a transition to inefficient and expensive sources of energy. Far from being a shining example itself, it would have been much better for the UK population as a whole to have follow the example, the “leadership” to use Mr Clark’s embarrassingly mis-assigned term, of China and Eastern Europe, by growing rapidly and use the efficiency gains to reduce the carbon-intensity of GDP. Since that would have delivered a much more stable climate policy it would almost certainly have been better for the environment as well.